Looking for an inexpensive nutritious lunch? 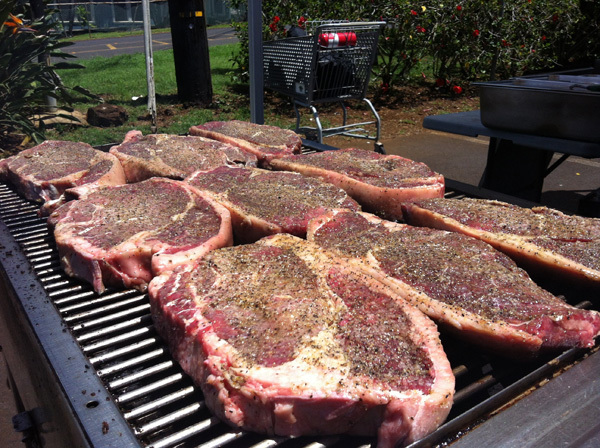 On Kauai, we call that a plate lunch. 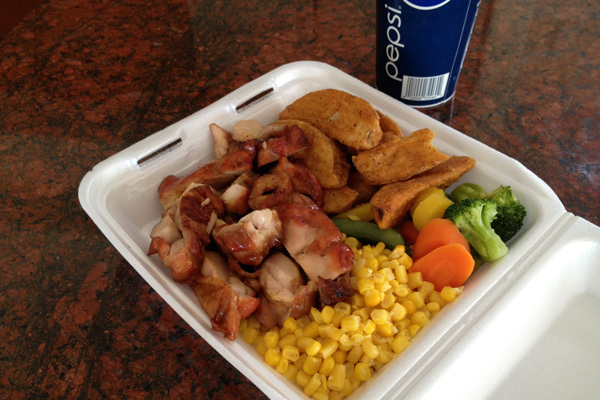 Plate lunches resemble the bento boxes you find in Japan. They are designed to feed workers quickly and fuel them for a productive afternoon. Not a “worker”? You’re on vacation? No worries. You can buy a plate lunch too. 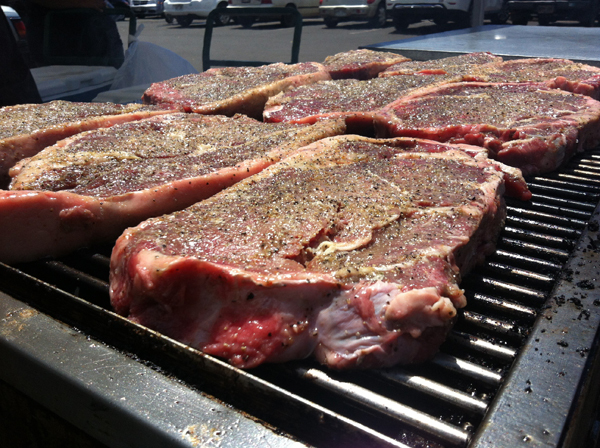 The Big Save super markets are grilling steak and chicken in their parking lot. Currently the Koloa Big Save offers fresh grilled plate lunches twice a week on Tuesday and Thursday. Quickie makes sure that the steak and chicken is always delicious. Plate lunches are sold from 11am to 6pm. 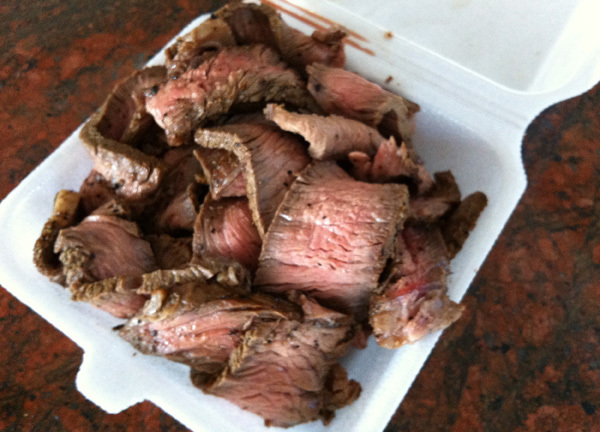 Thick top sirloin steak is marinated to cook up very tender on the grill. To my taste they use just the right amount of salt. But if you demand sodium free, this is not for you. There are four ways to get your steak. What I always get: Sterling Silver Steak Plate with three sides and a fountain soda for $8.49. Not a meat person? You can get just shrimp. Or you could get their poke from their deli counter (just to the left of where you pick up your plate lunch). They make good poke in a few varieties. They also have salads, sushi and sandwiches. Not a fountain soda person? You fill up your own fountain soda, they give you the cup, so you can elect not to get one. The chicken is marinated and then slow cooked with the huli huli garlic baste. You can get just a “portion” of chicken with no sides for $3.49. This is the same amount of chicken that comes on the plate lunch. 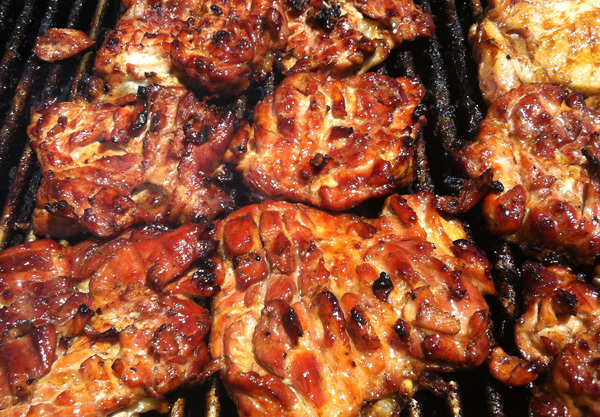 They used to grill pork spareribs but I won’t torture you with my photo of those. They were great. 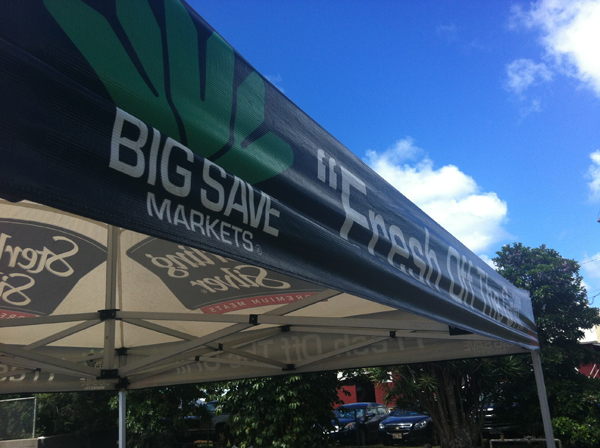 Big Save markets in Eleele, Waimea, Lihue, Kapa’a and Hanalei also offer fresh grilled plate lunches on certain days. “Big Save dates back to 1926 when brothers Saburo and Furutaro Kawakami and their spouses established stores in Waimea and Hanapepe. The enterprise grew, and in 1958 incorporated as Big Save Inc. after being consolidated with a business owned by Minoru Furugen.” reported the story of the sale of Big Save to Times Supermarket in May 2011. 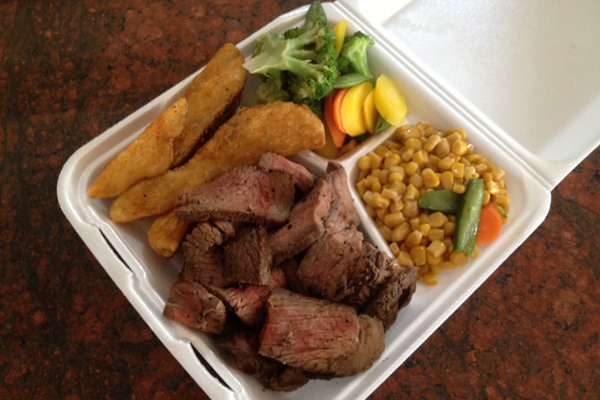 Of course, Big Save isn’t the only place on Kauai offering take out lunch plates. Do you have a favorite spot you’d like to recommend? After testing SiteGround extensively, we have moved most of our own websites to SiteGround and now recommend them to our clients. Their claims on their website are accurate.